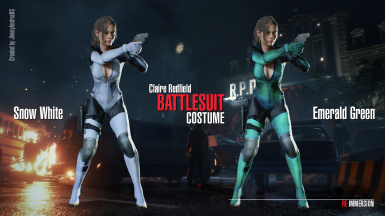 jimmyandresrg changed some attributes to Claire Redfield Battlesuit Costume: Description changed. jimmyandresrg changed some attributes to Claire Redfield Battlesuit Costume: File 'Claire Battlesuit - Base File 1.2' category changed to Old versions. 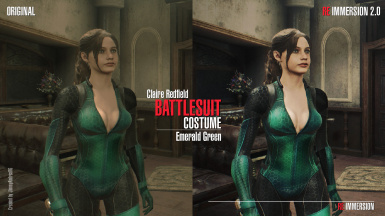 jimmyandresrg changed some attributes to Claire Redfield Battlesuit Costume: File 'Claire Battlesuit - Jill - Classic Blue 1.0' category changed to Optional files. jimmyandresrg changed some attributes to Claire Redfield Battlesuit Costume: File 'Claire Battlesuit - Claire - Fury Red 1.0' category changed to Optional files.